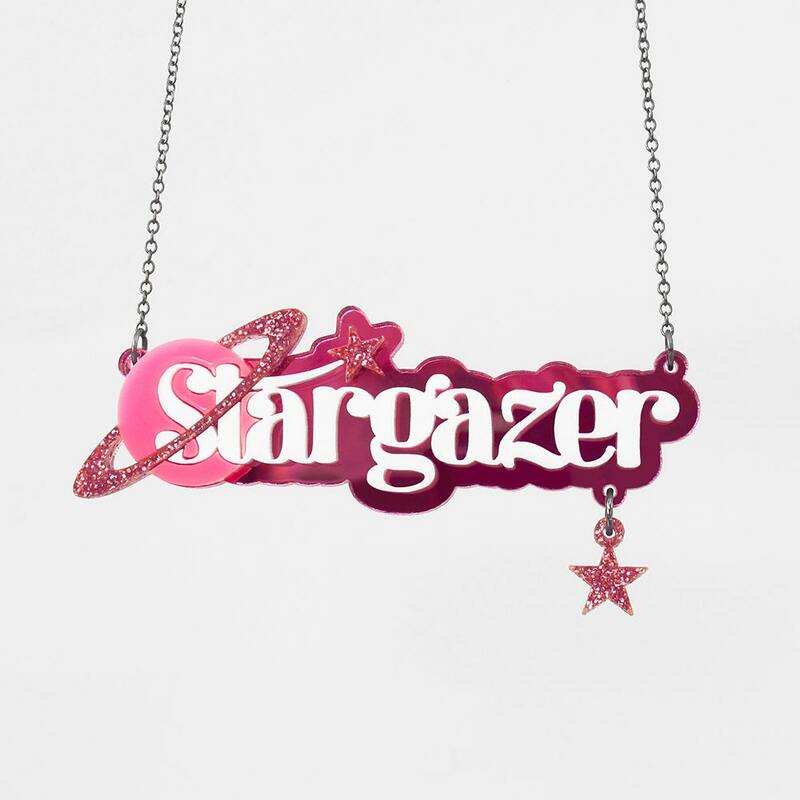 Stargazing is for people who like seeing themselves as part of a bigger picture; people with a sense of wonder. 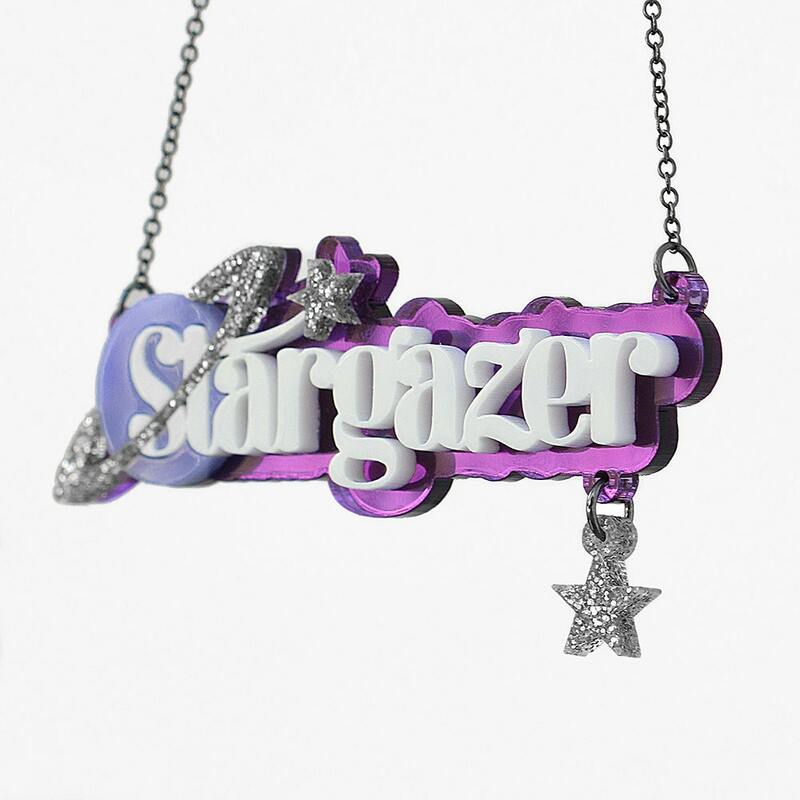 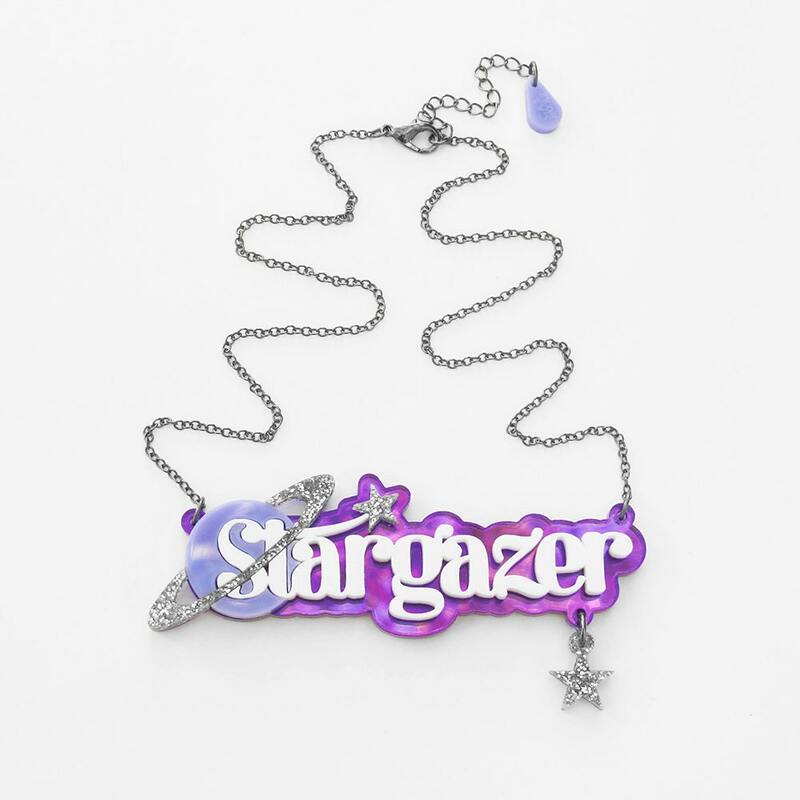 Our "Stargazer" necklace is made of 2 layers of 1/8" thick acrylic. 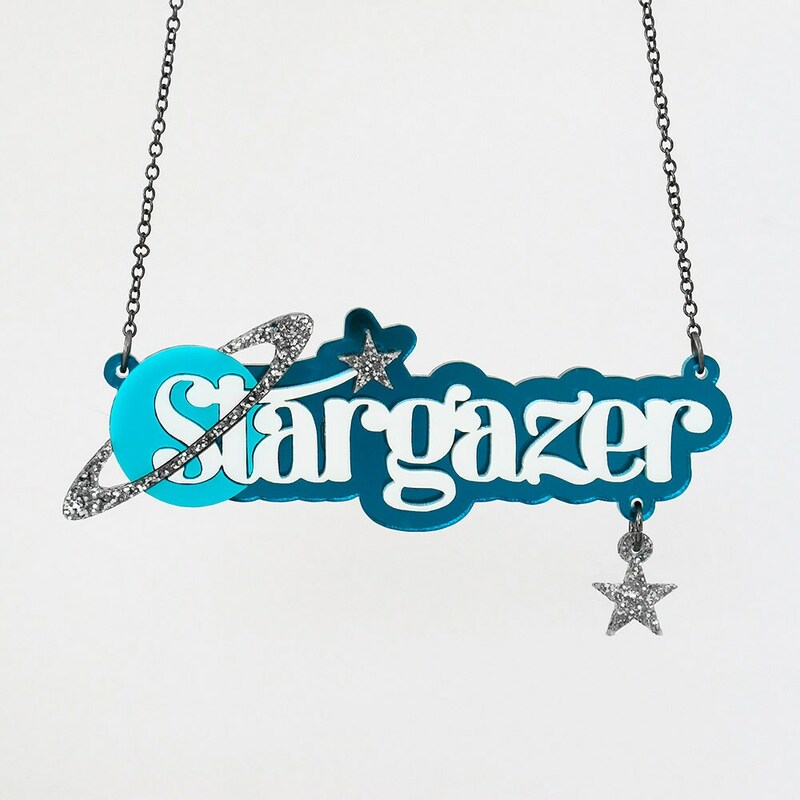 The stars and part of the planet are made of glitter acrylic and the back-plate piece is made of mirror acrylic. 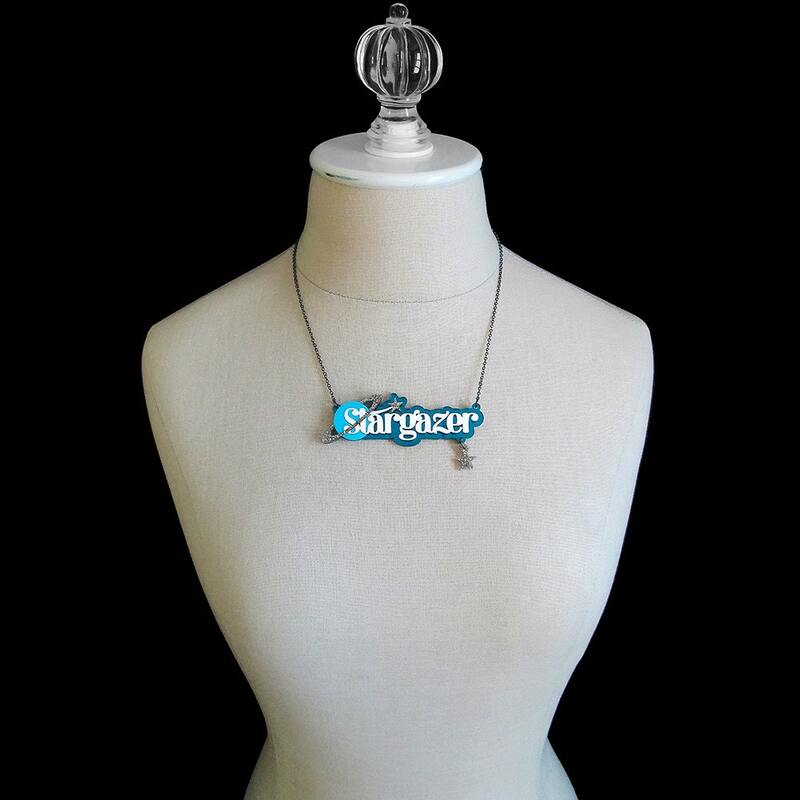 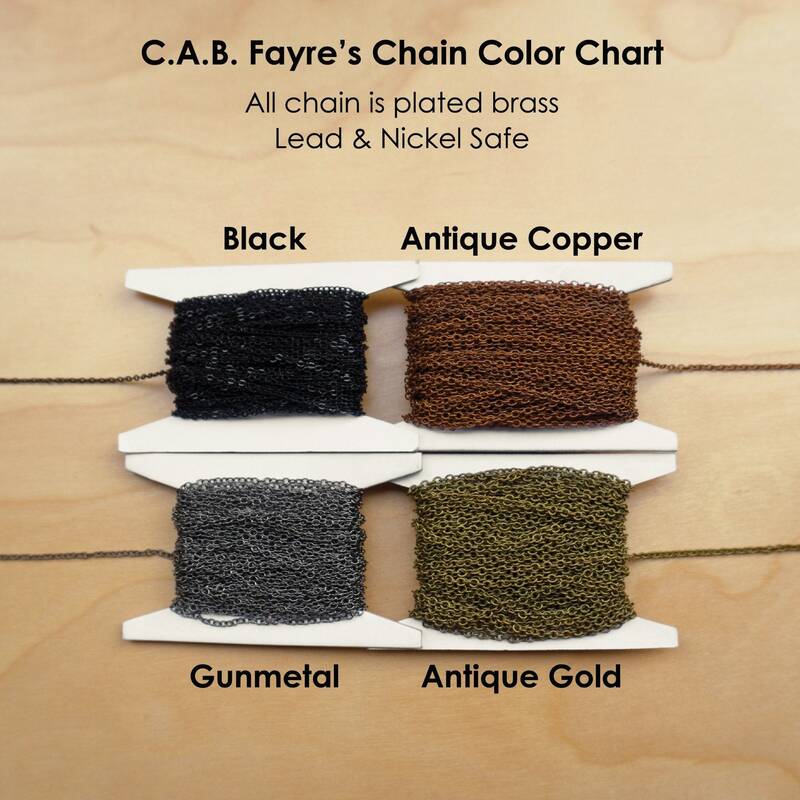 It is available in Turquoise , Purple, or Pink.